Reading US papers has become dangerous, Russian Foreign Ministry spokeswoman Maria Zakharova warned as she dismissed media claims that Donald Trump had handed classified data over to Russia during his meeting with Russian Foreign Minister Sergey Lavrov. 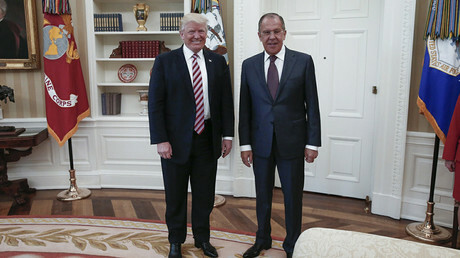 A report published by the Washington Post on Monday claimed that Trump had “revealed highly classified information to the Russian foreign minister (Sergey Lavrov) and ambassador in a White House meeting” on May 10. The data was reportedly not authorized to be shared with US allies, or even much of the US government. “Have you guys been reading American newspapers again? Don’t read them,” Zakharova, wrote on Facebook. “They (the US papers) can be used in many different ways, but one’s shouldn’t read them – recently it has become not only harmful, but dangerous,” she added. “But the idea included spicing it up with ‘secret’ photos from the meeting to give this yet another fake validity and credibility. But we ruined that part of the information campaign by publishing photos the way it should be done, in accordance with professional ethics,” she wrote. 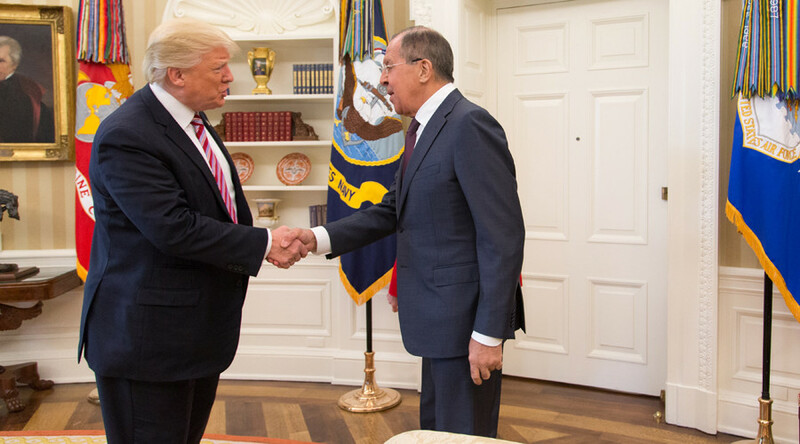 The presence of a Russia photographer from TASS at the White House meeting also provoked a range of conspiracy theories in the US media, with some reports even suggesting he could have planted a spying device in the Oval Office. In a separate comment to Kommersant FM radio, Zakharova called the Washington Post report part of a coordinated effort to influence the Trump administration. “This is another attempt to exert pressure on the new US administration and make deals related to various political appointments and lobbying. We can’t even say now that the media are biased, because they are openly carrying out a political order,” she said. Kremlin spokesman Dmitry Peskov said the allegations claiming that Trump had shared classified information with Russia weren’t even worth discussing. “This is not a topic for us. It’s nonsense. We do not want to have anything to do with this nonsense. This is utter nonsense, and it is not something to either confirm or deny,” Peskov said. Trump took to Twitter on Tuesday to say that he had an “absolute right” to discuss “facts” related to airline safety and terrorism with Russia during last week’s meeting. He stressed that the talks with Russia’s Foreign Minister and ambassador were “openly scheduled,” adding that he wanted Russia to “greatly step up their fight” against Islamic State (formerly ISIS/ISIL). Trump has been repeatedly accused of having secret ties to Russia that allegedly helped him beat Democratic candidate Hillary Clinton in the presidential election. The claims, which have been vigorously denied by his administration, are currently the subject of a Senate investigation. Last week, Trump fired FBI Director James Comey, who had been leading an investigation into alleged collusion between Trump’s advisers and Russian officials. Comey’s ouster has prompted an outcry from the president’s critics.